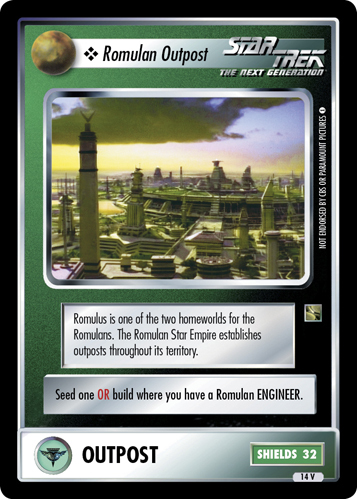 Romulus is one of the two homeworlds for the Romulans. The Romulan Star Empire establishes outposts throughout its territory. 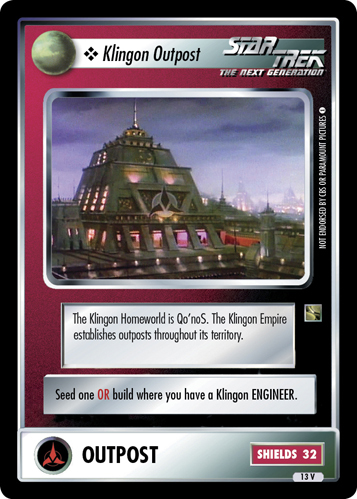 Seed one OR build where you have a Romulan ENGINEER. 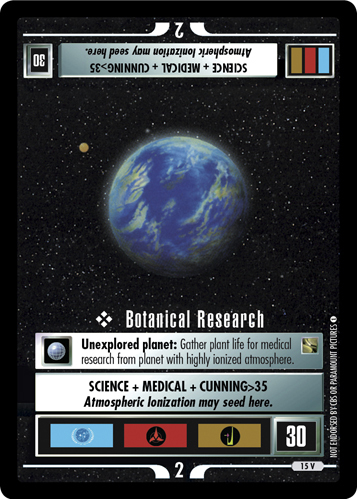 Image Source: The Next Generation: "Unification: Part Two"